Tirupati, Jan 9, (way2newstv.in):The farmers' market in Tirupati is wasting the government's ambition. Unnecessary decisions of the authorities have become a curse on farmers and small businessmen. The plight of farmers to sell their vegetables is less at the rate of the Dalits. Whether the ambition is good, the farmers in Tirupati will be beneficial to the farmer. The demand for vegetables from the rural areas has now increased so that the people enjoyed the vegetables grown with organic manure. In the backdrop, rice farmers are trying to sell their own vegetables to the farmers' farmers in Tirupati. Especially farmers in Tirupati, farmers are keen to sell vegetables they have cultivated. As far as the farmers are concerned, the farmers are not trying to sell them on the farms outside the farm market. Causing traffic problem in the area. Some farmers are going to suffer from the Dalits. Farmers are confused about who they are to tell their problem. Furthermore, farmer or farmers are aware of the provisions of the provision of farmers. Farmers bring their vegetables at 6 am to farmers in the morning. But the troops stop selling them. Instead of telling farmers the price of the money is going to be purchased by the words. 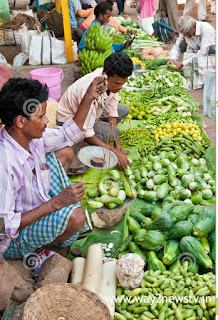 Those dealers are deceived by the farmers and sell the vegetables they produce. Then the troops stay there all day and sell to customers at a higher rate. Farmers are struggling to sell their hard-earned vegetables. Farmers are expressing their displeasure with the earning of their income. Farmers are confused about not telling their victims. They want more relevant authorities to protect the farmers from the Dalits.